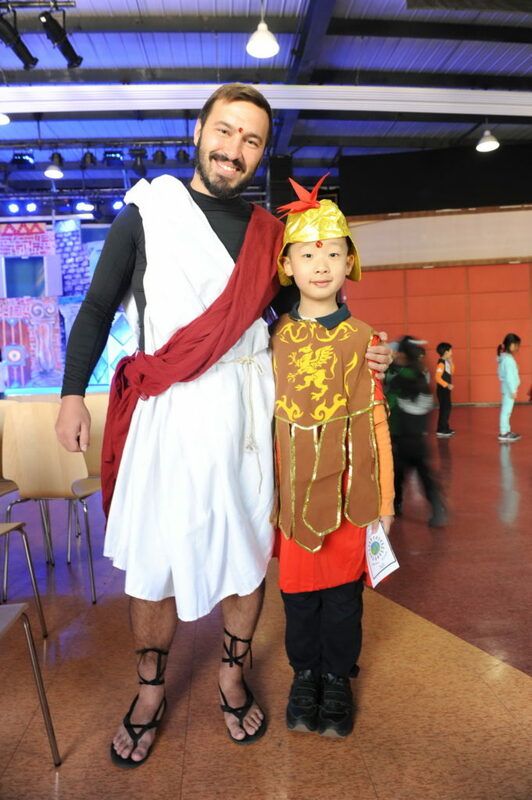 While good food is one aspect of a healthy body, British-Canadian Mika Dronyk focuses on the other side of health as the Head of Primary School Athletics at Beijing World Youth Academy. What brought you to Beijing? How did you end up at your current school? I’ve been interested in living in Asia ever since I took a year out to travel after university. My wife and I looked at jobs in different countries in the area and found this one in Beijing. We’re glad we chose Beijing. Although, we had planned to only stay for a year or two, it’s now been four years, and we have no plans to leave yet! What did you want to be when you were a kid? What other career options did you explore before teaching? I wanted to be a football player. I worked very hard to do so, and came pretty close. But when I realized that that dream was over, I knew I still wanted to have a career in sports. I’ve always been involved in coaching and I enjoy working with primary school aged children, so in the end, teaching physical education made sense to me. How would you (or your students) describe your teaching style? I don’t like to label my teaching style too much, as I think it’s all about having the right balance. I would never want my students to fear me, but I need them to respect me. I want my students to thoroughly enjoy PE and sports clubs at school, but it is also important to nurture a coachable student going forward. For that they need to respect their teacher and try to take on board what is being taught. What are some of the topics you cover? For the lower primary grades, I cover topics such as “Cooperation games”, “Striking and Fielding”, “Target Games” and many others. At this point, I’m trying to build a skill set, both physically and psychologically, before they take part in sports specific units. As the students get to the upper primary, the units start to be more sports specific. It’s important I make sure they learn a variety of sports and games. What topic was the most challenging to cover with children? Why? Our “Cooperation Games” unit is primarily about teamwork and working together. It also includes acting as both leaders and followers while accepting the different abilities of their peers. As young children, especially children who don’t have siblings, these can often be concepts that are initially difficult. When they start to understand the advantages for everyone and display good teamwork, it is very rewarding for both the students and me. What topic was the most interesting to your students? Why? For our upper primary students, the most popular units are sports such as football and basketball. My challenge is teaching the basics of the game before the students start trying incredibly difficult skills that they’ve seen on TV. Especially with male students in basketball, they want to try to dribble the ball between their legs and pass behind their backs before they can dribble with control and execute a satisfactory chest pass. Having said that, I do encourage creativity, just not before they’ve learned the basics. How do you encourage your students to be passionate about physical education? Encouraging healthy competitiveness is often a challenge. Being competitive in sports and physical activities is often a natural attribute. I try to encourage a thirst to win in competitive situations, but learning how to lose well is also very important. I want my students to try their best, but to accept both winning and losing in the right way. This article originally appeared on page 36 of the August 2016 Issue of beijingkids magazine. Click here for your free online copy. To find out how you can obtain a hard copy, contact distribution@truerun.com.